This holiday season get gifts everyone would want: gas cards to an oil change. Used cars dealers in Phoenix AZ, Auto Action, have best tips for you. The holiday season is here, parties are planned, and gifts purchased. Well almost. Are you still looking for that perfect holiday gift for someone, Secret Santa, or a Yankee Swap? Well, you don’t have to be a car buff to appreciate these vehicle related gifts. Luckily, there are a number of gifts on this list that will fit every budget and will please any one, because, let’s face it, we all have cars. For under $20, you can get someone a travel mug for their morning cup of joe. This is a great gift for the coffee drinker in your life because it will save them money from buying coffee out, it prevents the excess waste of paper cups, and protects them while driving. A coffee spill in the car can be disastrous as it could burn the driver, stain the carpets, and mar the car interior. A good travel mug is an inexpensive solution and a much appreciated gift. Getting a gas card for the holidays will please any driver on your gift list, especially a younger person like a high school or college student. Gas is expensive and a welcome gift when people need to get around. You can pick one up at almost any gas station for any price point. 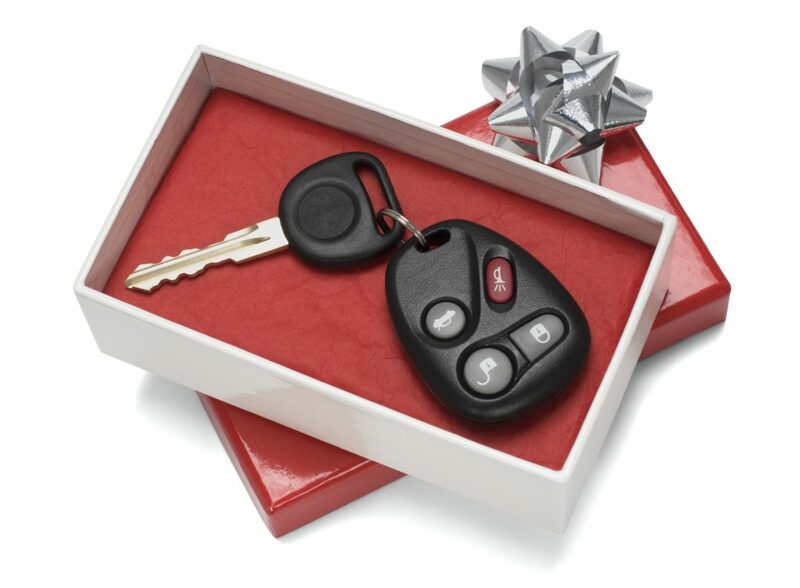 A car starter is a great Christmas gift for someone who lives in a place that experiences winter weather and is sick of getting into their freezing cars and waiting for them to warm up. This time of year, you can find some great deals at both automotive stores and big box retailers. We do recommend a professional installation, though which could cost you a bit extra. Still, it’s a great gift to give because no one wants to wait for their car to warm up. Although a little bit on the expensive side, winter tires are a great holiday gift for someone you love. If the person you are buying for happens to live in an area that gets a lot of winter weather (snow, ice, slush, etc.) then a set of winter tires could be a very welcome gift indeed. Depending on the size of the tires and brand, you could expect to spend $200 to $1000—but who can put a price on safety? A GPS can be a really handy and fun techie gift to get someone this year. It offers drivers live traffic updates, easy navigation, and stores historical information to give the best route. Ranging from $50-$200, you can purchase a navigation system that will get your favorite driver from here to there with ease. Auto Action’s used cars dealers in Phoenix AZ encourage you to drive safely while on the road this holiday season. If you have questions about used cars and auto financing contact us by email or at 602-345-8000.